​Adam Chavarria is the President of the American STEM Alliance. Previously, he was Executive Director of the White House Initiative on Educational Excellence for Hispanic Americans. When the Bush Administration appointed him in December 2003, Chavarria became responsible for directing the Initiative′s efforts in engaging Hispanic parents, families and communities nationwide as active participants in improving Hispanic American academic achievement. Chavarria became executive director of the Hispanic College Fund (HCF) in Washington D.C. at its inception in 1993. During his eight years with the HCF, more than $1 million in scholarships were awarded to over 600 deserving Hispanic American students. He transformed the HCF into a successful scholarship organization and forged lasting partnerships with corporations, higher education institutions and the Hispanic business community. Before moving to Washington D.C., Chavarria worked as a consultant in Dallas and was a vice president with SER-Jobs for Progress. He was listed in Who's Who Among Hispanic Americans in 1991 and was a member of the Dallas Hispanic Chamber of Commerce and the Dallas Association of Mexican American Professionals. Chavarria earned his bachelor′s degree in political science and his master′s in public administration at the University of Minnesota. ​Michael Acosta has over thirty-five years of experience in technology design and development, business management, strategic planning, and economic development throughout his career with IBM, and the University of Texas at El Paso. Michael Acosta worked with Raytheon Corporation as a Test Engineer at White Sands Missile Range (in New Mexico) from 1971-1973. had a 21 year career with IBM, as a manager and engineer (1973- 1994), working in design, development, advanced manufacturing, strategic planning, and competitive analysis. He joined UTEP in 1994. He served as the Associate Director of the Institute for Policy and Economic Development (IPED) at UTEP from 2000-2007. Prior to that, he was Associate Director for the Texas Center for Economic Development at UTEP from 1994 – 2000. Michael also taught the Electrical/Computer Engineering Senior Project (Capstone) Design Courses at UTEP from 1991-2003. He is an Alumnus of the UTEP College of Engineering, having received his B.S. EE in 1971. Michael was the National President of MAES (the Society of Mexican American Engineers and Scientists). He has served as MAES National President from 2006 to 2012. MAES is a national U.S. Hispanic technical membership organization, with University/College Chapters and Professional Chapters all over the country, and a broad spectrum of sponsors and partners (corporate industry, federal agencies, military, academia, and other non-profits). He received the prestigious MAES Medalla de Oro Award in 1999. Toney Begay has been executive director of MESA New Mexico since 2005. Prior to that he held a wide variety of positions including more than a decade working as an analytical chemist for Los Alamos National Laboratory, Project Director for a Tribal College Initiative, Special Assistant to a White House Initiative on Tribal Colleges and Universities, and analyst for the New Mexico State Senate. He obtained a degree in Environmental Chemistry from Northern Arizona University in 1985. Melissa Dodson, Ph.D. is an independent consultant with more than 15 years of experience partnering with K-12, post-secondary, and state agencies, as well as industry leaders and community members to build broad capacity to improve education using data and research. She has led a variety of education research projects including traditional outcome or key indicator studies, capacity building projects through research alliance structures, continuous improvement studies using network improvement community or collective impact change strategies, and analytic technical support or coaching projects using, for example, logic models to better understand programs and measure short- and long-term outcomes. Dr. Dodson was a principal researcher at American Institutes for Research (previously SEDL) designing, implementing, and reporting evaluation studies of national, statewide, and local educational interventions and initiatives. Prior to that, Dr. Dodson was a senior-level manager at the UTeach Institute, a center that supports the scale-up of the UTeach STEM teacher preparation program at over 46 universities across the nation. 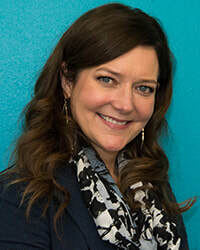 Dr. Dodson is a member of Austin’s Women in Leadership League (WILL) and a board member of the American STEM Alliance. She holds a Ph.D. in educational psychology with a specialization in learning, cognition, and instruction from The University of Texas at Austin. Rey B. Gonzalez is the President and Chief Executive Officer of El Valor. He previously served for over thirty years as chair of El Valor’s board of directors. Prior to coming to El Valor as CEO, Rey was the Vice President for Legislative and Community Affairs at ComEd, an Exelon Company that delivers electricity to approximately 3.8 million residential and business customers across northern Illinois. In addition to building and stewarding relationships with statewide legislators and community organizations, Rey was involved with Exelon’s national external diversity initiatives. Prior to this position, Rey was the vice president of Corporate Diversity for Exelon Corporation. Before joining Exelon in 2002, Rey served as vice president of Diversity for the McDonald’s Corporation. His primary responsibilities included the management and development of national External Diversity Partnerships, including philanthropy and employment. Jorge Haynes is a retired Senior Director of External Relations for the California State University, Office of the Chancellor after thirteen years in that postition. Prior to joining the Chancellor's Office, Haynes worked in the capital cities of Sacramento, Austin, Tallahassee and Washington, D.C. In California, he worked at the Department of Finance and the California State Assembly where he was the first Latino consultant to the Assembly Education Committee. In Texas, he worked for Lieutenant Governor Bill Hobby and State Comptroller Bob Bullock. In Florida, Haynes served as the Director of Communications for House Speaker Jon Mills and was the first Latino to serve at that level in the Speaker’s Office. In Washington D.C. Haynes served as a Staff Director for the Small Business Committee, Subcommittee on Environment & Labor under the Chairmanship of Congressman Esteban E. Torres. Immediately before joining the Cal State Chancellor’s Office Haynes worked for thirteen years as a Senior Vice President of Marketing at the International Bank of Commerce in Laredo, Texas. Haynes is an Air Force Vietnam Era Veteran and is active with the American Legion, the G.I. Forum, the League of United Latin American Citizens (LULAC) Veteran’s Council. He is also a Board Member for the Vet Fund Foundation headquartered in Sacramento, California. Haynes, a product of the GI Bill, is an advocate for veteran’s rights especially in higher education. Retired since the summer of 2014 Haynes volunteers his time with several organizations including serving as Chair for the Aguila Alliance in Austin and the Parent Engagement Academy in Southern California. He also serves as Emeritus Board member for Families in Schools (Los Angeles) and the Regional Hispanic Chamber of Commerce (Long Beach). He is a founding member of the American STEM Alliance. He serves as a member on the Resource Council for VOCES Oral History Project (Austin), Diversity Leadership Committee at UT (Austin), the Rio Grande International Study Center (Laredo) as well several other civic organizations. He received his BA in government from CSU Sacramento in 1972. In 1997, Haynes was sponsored by HACR to the Executive Management Education Certificate Program at Harvard University. Haynes lives in Lakeway in the Texas hill country west of Austin. Michael Marder is Executive Director, UTeach Science Program, Codirector of UTeach, and Professor of Physics at the University of Texas at Austin. He is a co-founder of UTeach at UT Austin, and has been codirector nearly since inception of the program. He also helped to found and currently oversees the UTeach Institute, which directs national replication of UTeach. His work in physics focuses on the fracture of brittle materials. He is the author of a graduate textbook on Condensed Matter Physics.He also uses techniques from physics to study effects of poverty on educational outcomes. Michael Marder obtained undergraduate degrees in physics and mathematics at Cornell University, and a PhD in Physics at the University of California, Santa Barbara. He is married to the archaeologist Elpida Hadjidaki, and they have one child. ​Oscar F. Porter is past Executive Director for California’s Mathematics, Engineering, Science Achievement (MESA) program and Past-President of MESA USA, an organization representing MESA programs in ten states. Prior to becoming California’s Executive Director, he was MESA’s Chief Operating Officer with responsibility for the daily operation of the program. Dr. Porter joined MESA in 1995 as Associate Director for Research, Evaluation and Information Management after serving four years as Associate Vice President for Academic Affairs at the University of Redlands. Dr. Porter has over 45 years of experience in higher education research and administration and has worked in a variety of institutional environments including major research universities, small liberal arts colleges, a Historically Black College in Mississippi, a school for law and diplomacy and an experimental college. Dr. Porter also served as Assistant Executive Director for the National Institute of Independent Colleges and Universities (the research arm of the National Association of Independent Colleges and Universities) in Washington, D.C.
His areas of publication include college persistence and degree completion, minority student and faculty issues, school/college partnerships, the relationship of student financial assistance to college persistence, and most recently, the effectiveness of student academic enrichment program models. Dr. Porter earned his dual-major B.A. in history and political science from Tufts University, his M.A. in political science from Michigan State University, and his Ph.D. in higher education from UCLA. ​Dr. Porter is a board member of the American STEM Alliance. He is also a member of the California STEM Learning Network Advisory Council and served as a member of the California Department of Education’s recent Science, Technology, Engineering and Math Task Force. Rudy Reyna is the former director of the San Antonio Prefreshman Engineering Program, an eight-week, mathematics-based, academic enrichment program that emphasizes the development of abstract reasoning and problem solving skills.A native of San Antonio, Dr. Raul (Rudy) Reyna graduated from South San High School. He received a bachelor’s degree in electrical engineering and a doctorate in educational administration from Texas A&M, and received a master’s degree in computer science from Columbia University. His extensive career has included an executive position in a high technology firm; his twenty-eight years at SBC included working for Bell Laboratories in various design teams, management of data systems, director of SBC Online, and as president of the SBC Foundation, where he administered a $25 million budget that provided grants throughout a five state area. He has also taught undergraduate and graduate courses in Management Information Systems as an adjunct instructor at several universities. David Valladolid has been President & CEO of the Parent Institute for Quality Education since 1999. Previously he was policy Administrator for United Domestic Worker of America, a legislative consultant to Speaker Willie Brown in the California State Assembly, Chief of Staff for Assemblyman Peter Chacon, Senior Deputy Labor Commissioner for the California Department of Industrial Relations, and a Civil Rights Consultant for the California Department. of Fair Employment and Housing. Mr. Valladolid is a graduate of San Diego State University (1975), seventh generation California and he is married to Teresa Pascual Valladolid. He has four children, Dave, Sara, Maite & Evita. He is a Vietnam Combat Veteran (1968-69) wounded twice and he is a Purple Heart recipient.